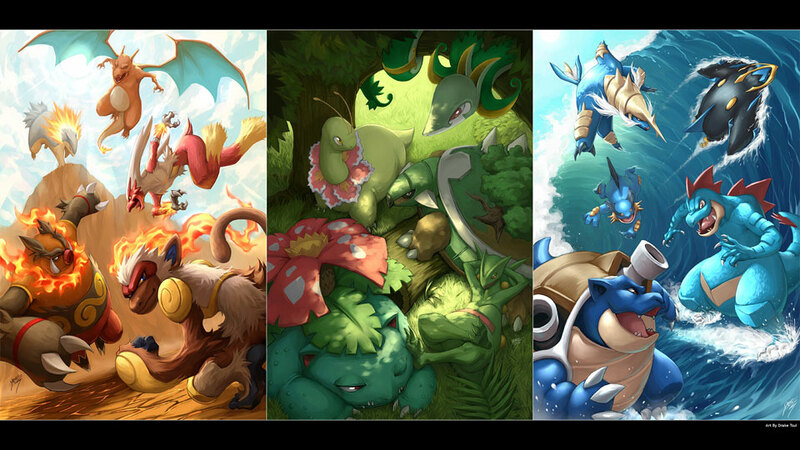 Artist Drake Tsui delivers a stunning triptych of Pokémon starters three ways - fire, grass and water. Head to Tsui's deviantArt account to grab the desktop-worthy full-sized version or catch 'em all individually: Fire Blast, Solar Beam and Hydro Pump. lol, Sceptile has his foot on Venusaur's head..